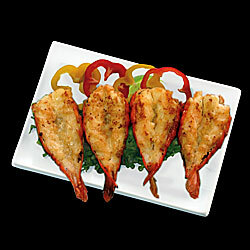 a&t butterfly marinated prawns shell on - 1kg tender raw butterfly prawns in the shell with a garlic marinade........truly a quality product. 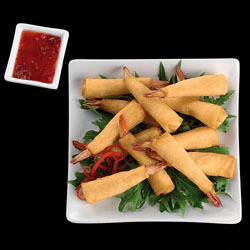 a&t prawn cutlet rolls - 1kg a marinated prawn wrapped in a spring roll pastry. 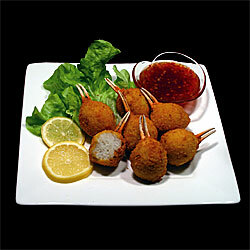 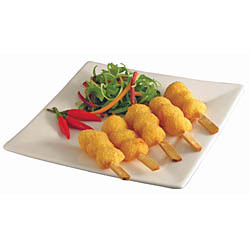 ideal finger food for all functions and can also be used as an entrée. 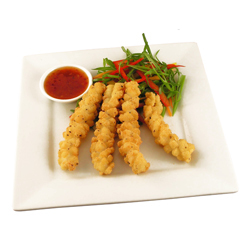 a&t salt and pepper prawns - 1kg hand prepared tail-on prawn with a light salt & pepper coating. 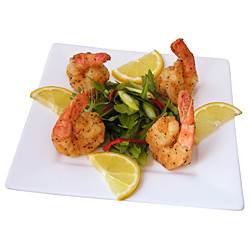 this delicate restaurant standard product combines the great flavour of prawn with a well balanced salt & pepper coating which will make it a favourite for all. 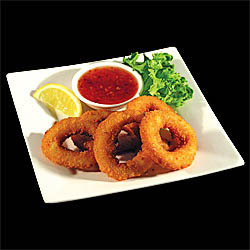 a&t salt and pepper torpedo calamari - 1kg a torpedo shape piece of calamari that has been pineapple cut for excellent appearance and has been lightly coated with a salt & pepper flavour. 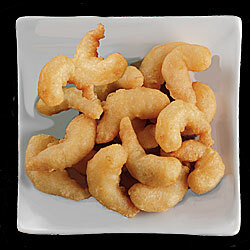 a&t tempura garlic prawns - 1kg a prawn that has it's flavour enhanced with garlic marinade then coated in a crisp light tempura style batter. 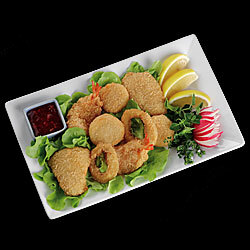 ideal for buffets, entrée or just as a finger food for any function.